The extent of damage related to a vertical foundation cracks is determined by the type of material (concrete, brick, stone, etc. ), the cause of the crack and the type of foundation you have. Soil characteristics–soils have different load bearing capacities. Was the soil your home sits upon properly matched to the weight of the structure? Settlement of supporting soils located beneath the footings or foundation walls. 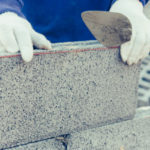 In most cases, this type of foundation movement relates to a downward movement of the wall or the footings, for instance if soft soil allows the wall to sink. The first thing you need to uncover is the type of foundation movement and the cause of this movement. Once the cause is determined, a professional can fix the damage and prevent the cause from reoccurring. Are Your Vertical Foundation Cracks High Or Low Risk? In order to know for certain if the cracks in your foundation are high or low risk you should have a professional out to assess the damage. Here are some general guidelines you can use to get an idea what sort of damage you are looking at. Vertical cracks that occur in between two structures, such as an add-on garage built on more shallow footing than the full foundation. Vertical cracks in poured concrete that are fairly straight and even in width. When concrete shrinks during the curing process it is common for cracks to appear, especially in basements. These hairline cracks should measure no more than 1/16 of an inch in width. If cracks measure 1/8 of an inch or larger, it could signal more serious distress. The only issue these tiny cracks may cause relates to excess moisture getting in, which will eventually cause damage. If you notice moisture seeping through cracks, consider having your basement waterproofed by a contractor. 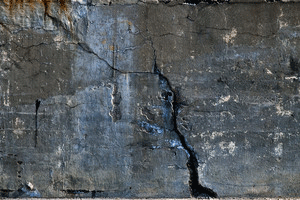 Most concrete cracks can be sealed to reduce the risk of moisture infiltration. Vertical cracks are noticeable in masonry block walls, mortar joints or through concrete block. Vertical foundation cracks are straight or stepped in brick. Risks increase if the cracks are near the end of a wall. This could be a sign of possible building collapse. Vertical foundation cracks in a foundation wall appearing wider at the bottom than at the top. This is typically related to settlement under the building. There is risk for collapse, especially if the cracks are located in a brick wall. Vertical cracks in foundation wall that are equal in width but cracked higher up the wall on one side compared to the other. This is differential settlement in footings, and may indicate that the foundation has broken and settled down to one side of the crack. It is fairly normal to notice multiple cracks along the foundation of a building. 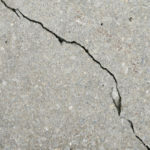 It is not uncommon for multiple cracks to appear near one another or on different parts of the building. If you notice vertical foundation cracks in newer construction it usually signals that the foundation was not properly poured, the footing was unsettled due to blasting at an adjacent site, or there is a lack of steel reinforcement. These cracks commonly become wider and wider over time, and often very quickly. 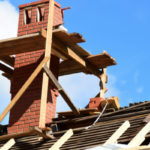 This often relates to settlement issues and requires professional evaluation and repairs. The sooner you fix foundation cracks the better off your home will be. The foundation is what keeps your home upright, strong and sound. A faulty foundation can lead to complete structural collapse. In order to protect your most valuable asset, your home, it’s important to pay close attention to any signs of foundation cracks. Cracks may signal nothing at all, but then again they could also signal the need for moderate to major repairs. 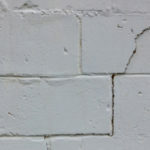 If you notice foundation cracks on your masonry building, contact Turnbull Masonry for thorough assessment and repairs.